Literacy has been one of our primary programs since we began over five years ago. This year Educate for Change is excited to partner with READ for life, a Ugandan based NGO focusing on improving literacy through teacher training and student assessment. We are acting as their fiscal sponsor so that they can raise the funds needed for their life changing programs. All donations made using the link below are tax deductible and go directly to the programs funded by READ for life. It is our belief that in order to change the story of Ugandan schools, a good place to start is with the next generation of teachers. We work with about 85 nursery and primary schools in Gulu and neighboring districts in northern Uganda to improve the quality of literacy education. Our programing and partnerships are dedicated to ensuring that children who attend these schools master the skills of reading and writing so they can fully engage in their education without the enervating bounds of illiteracy. Your donation will help fund literacy mentor salaries and our work in training and following up with schools to help improve the quality of education. 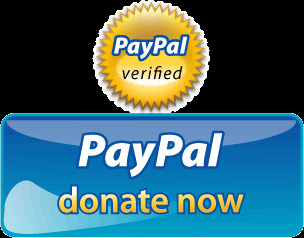 To donate via check instead of PayPal, please mail your donation to P.O. Box 755, Medford, OR 97501. Checks should be made out to Educate for Change, with READ for Life in the memo line. We are committed to long term positive relationships that do not end because of deadlines but only when a mutual vision of excellent literacy instruction is manifest in the permanent architecture of a school.